With the recent social media trend of sharing aesthetic posts or mood boards for books, I thought I’d join in. Below are some images that I feel help to set the stage for my current 1920s historical fantasy series. Glamour, intrigue, and danger are a part of Cornelia Jones’ life. Magic and advanced technology flourish in her Roaring 20s world! One of the aspects of dieselpunk is the time period and associated aesthetics. The “punk” aspects of fantasy, the paranormal, high-tech gadgets, or alternate history blend with the “diesel” age—from about World War I to post-World War II/1950s era. I chose the Roaring 20s for the setting of my dieselpunk series starring the enigmatic high-class adventurer Mrs. Jones. Why the Roaring 20s? Well, for the story I wanted to tell and the world I wanted to build, it seemed like the most ideal time period. Welcome to the Historytellers Scavenger Hunt! This is a blog hunt dedicated to historical fiction set in the 1910s, 1920s, and 1930s where all genres are welcome. You’ll get the opportunity to discover new authors, new stories, and to meet and talk to other readers who love this time period. You’ll also have the opportunity to win the grand prize which includes a digital copy of all the novels participating in the hunt. The hunt will be online on March 17, 2019 from midnight to midnight (that’s 00:00 to 23:59) EDT. Directions: I’ve included my lucky number on this post. (You will spot it! Just keep on reading!) All my fellow authors participating in the hunt will include a lucky number on their posts. Collect the these numbers and add them up. Rules: Anyone can take part. To be eligible for the grand prize, you must submit the completed entry form by Sunday 17 March 23:59 EDT. Entries sent without the correct number or without contact information will not be considered. Music is always one of my go-to sources of inspiration, and whenever I’m working on a story I put together a playlist of music and songs. Right now I’m working on a dieselpunk/historical fantasy series set in 1920s Los Angeles. A lot of my selections are not necessarily from the 1920s; since I’m writing historical fantasy, I don’t mind deviating from exact historical accuracy, especially for my personal playlist. I just want to evoke a flavor and mindset of the Roaring 20s to help immerse me in the glittering magical world of Mrs. Jones. I love this show, and it’s a fun way to get myself into Roaring 20s mode. While I’m not writing murder mysteries and my heroine is no Phryne Fisher (though they do have a few things in common), the music is a great thing to have on my playlist. Yes, you can – and should – do research for your writing, even if you’re writing fantasy. Especially if you’re writing historical fantasy. The dieselpunk short story series I’m working on is just that – historical fiction with elements of fantasy. While dieselpunk traditionally involves retro-futuristic technology (think the flying jetpack from The Rocketeer), it can also include elements of the paranormal or the fantastical. And to write any or all of these nuances well requires a bit of research. As you may know, I’m currently writing a historical fantasy series. 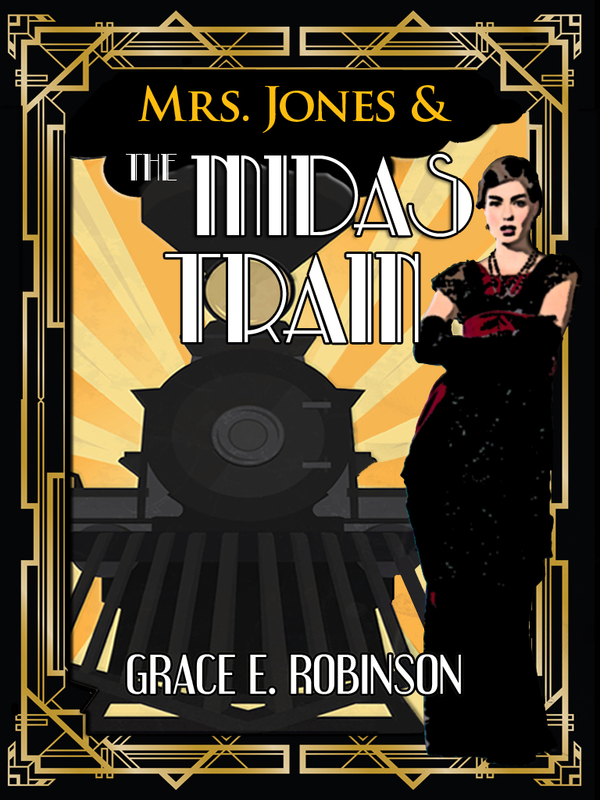 It’s set in the 1920s, and the title character Mrs. Jones has assorted adventures; magic, a touch of the paranormal, and a lot of “futuristic” retro-technology are key elements in her world. “Retro-futurism” is technology or other sci-fi elements that might have existed in the past, but didn’t. And so, to offer some tips on how to write retro-futurism or historical sci-fi, I’m sending you over to a guest post I wrote on The Old Shelter blog. Read on to find out all about Retrofuturism and Dieselpunk: How they Work in a 1920s Setting!